Thanks for the fun interview, Tim! I love the way your offer podcasts as videos too. I’m signing up for your newsletter. It was a lot of fun – and I like that the podcast is available as video, too. Gives people a much better idea of who we really are. And what kind of rooms we dwell in! 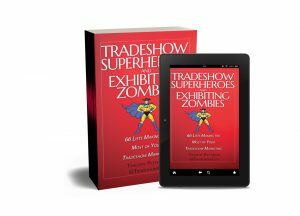 Great trade show tips from Joan and also from you, Tim. I speak about marketing at numerous gift trade shows and appreciate the wisdom.